As you head into the winter months, you want to stay warm and cosy. And there are some simple feng shui tips you can apply to give your home a wonderful winter atmosphere. Red is a festive colour and in Feng Shui thinking, the colour red evokes the fire element. 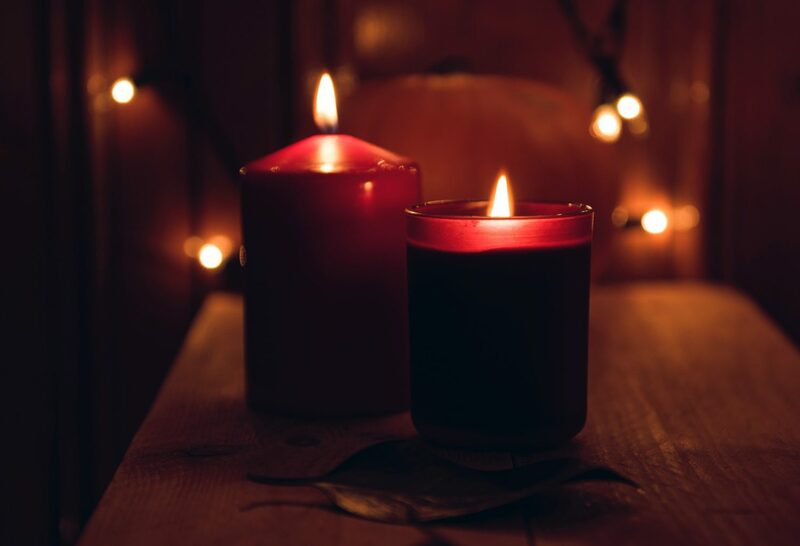 Candles, log fires, and fairy lights warm up the space and bring in more of the fire element. According to flying stars feng shui, there are nine stars with different personalities, numbered 1 to 9. The star that needs fire the most is the number 8 star, which happens to be the ‘ruling star’. In the flying stars system, every 20 years one of the stars takes its turn as the ruler. Guess what? The stars line up to rule in the order, 1,2,3,4,5,6,7,8,9! That’s straightforward. The ruling period for the star 8 is 2004 to 2023, and a bit of 2024. The next ruler, 9 takes charge on 4th February 2024. Where do you find the ruling star in your home or office? That’s a little more complicated, and in a short blog like this, we’re not going to delve into all the details. Let’s just say, a flying stars feng shui practitioner would need to get a lot more information about the property. They would need to measure the exact facing direction of and ask questions about the place to establish the birth year or rebirth year. Back to making your home cosy this winter according to feng shui principles. Add a little fire element with some touches of festive red. Not too much because beauty is the most important feng shui principle. Make your space look gorgeous. You can add some more red in the south-east corner/section of your home because the 8 annual star is visiting the south-east in 2018. Each of the nine stars come from a different direction to visit your house each year. The 8 annual star visits the south-east in every house, so you can make it feel welcome with some fire. Finally, when the temperature falls and it’s cold outside, adding some fire, especially in the south-east and south in winter 2018 will warm up your home and give it a cosy feel.